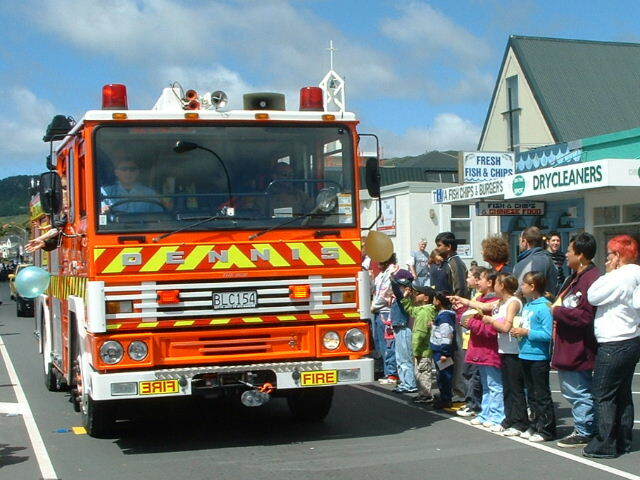 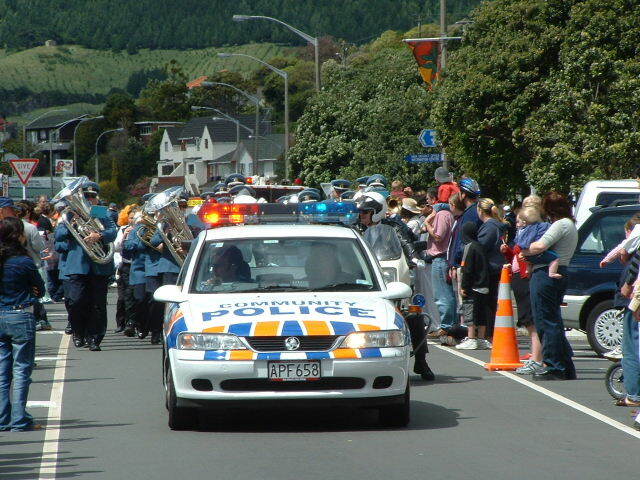 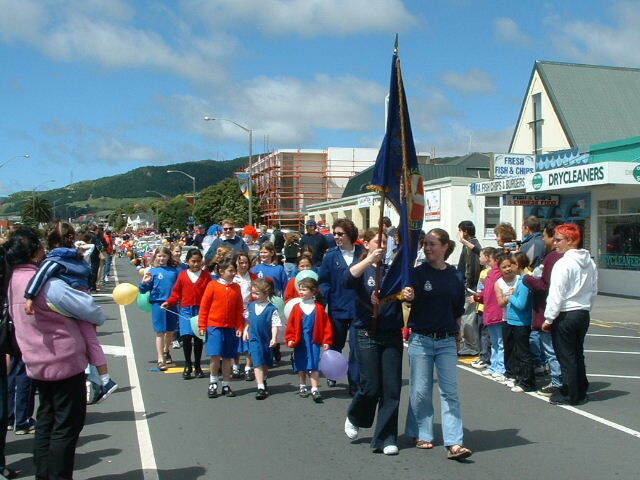 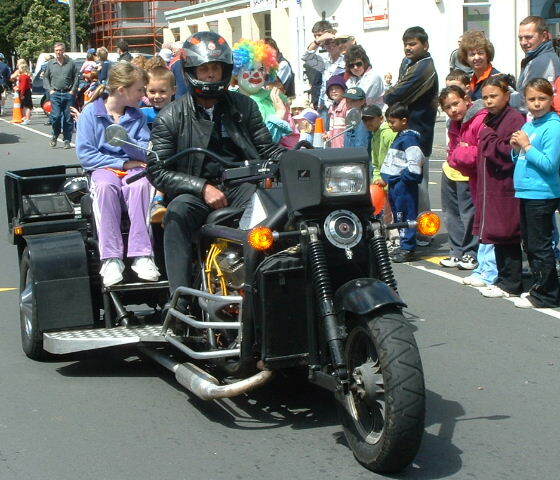 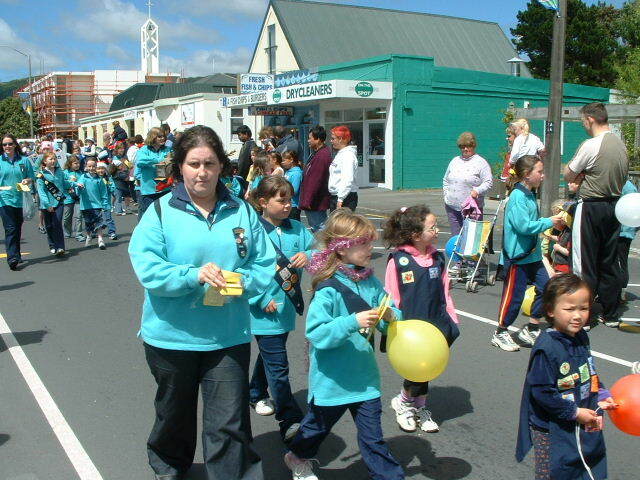 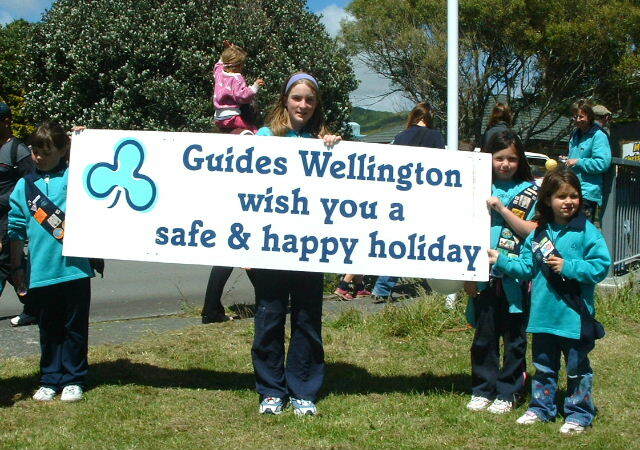 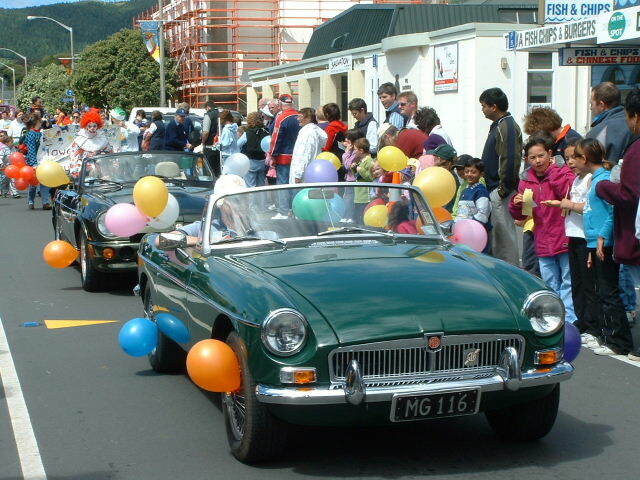 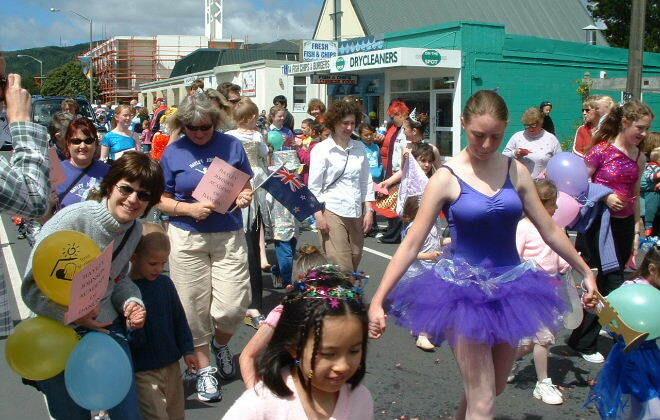 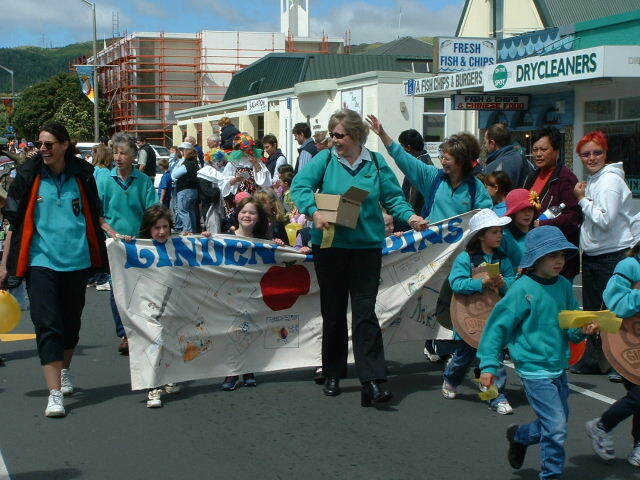 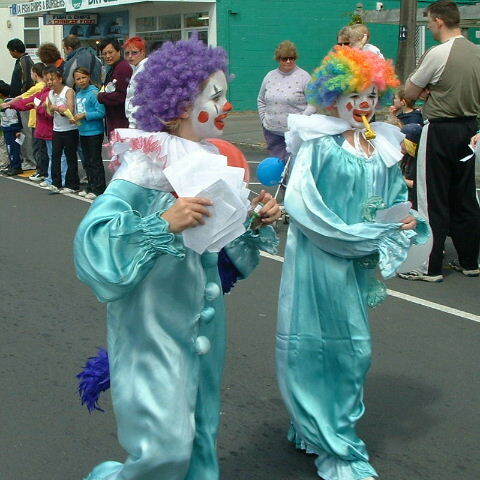 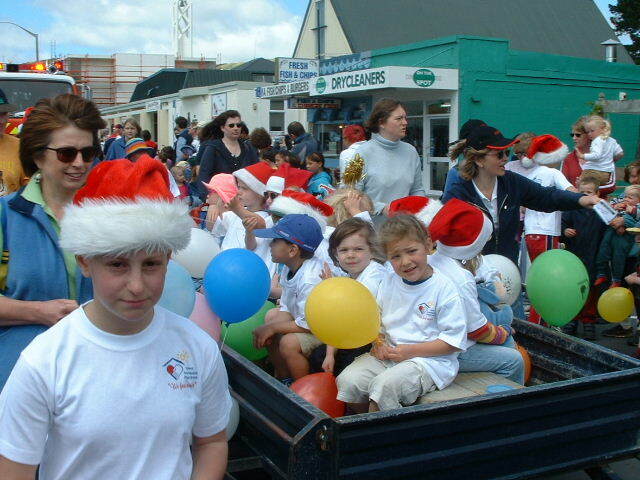 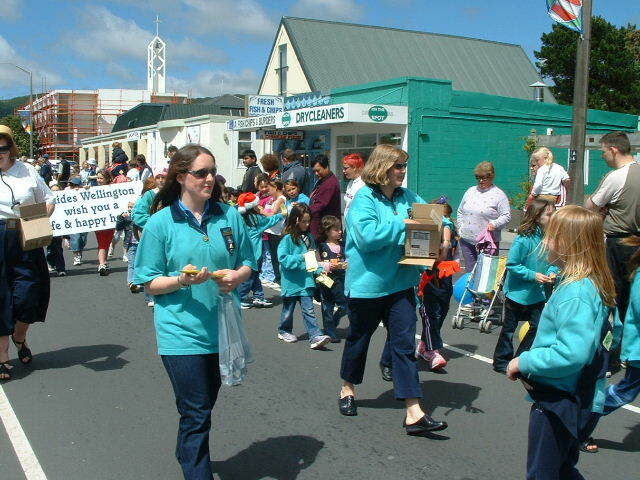 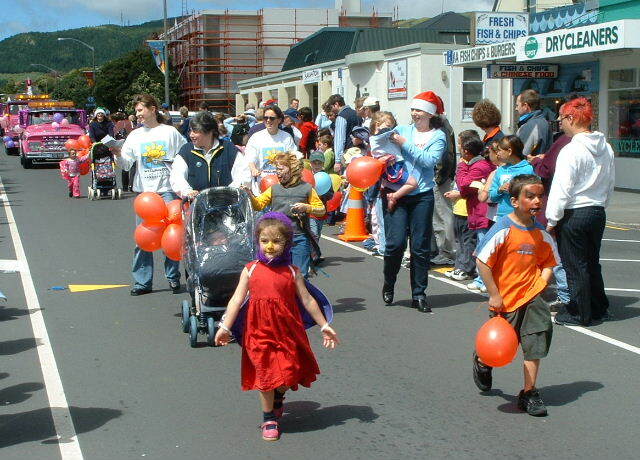 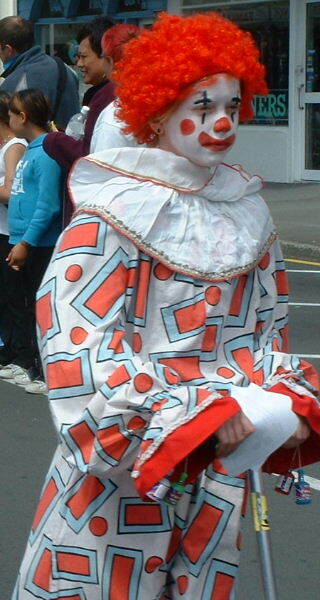 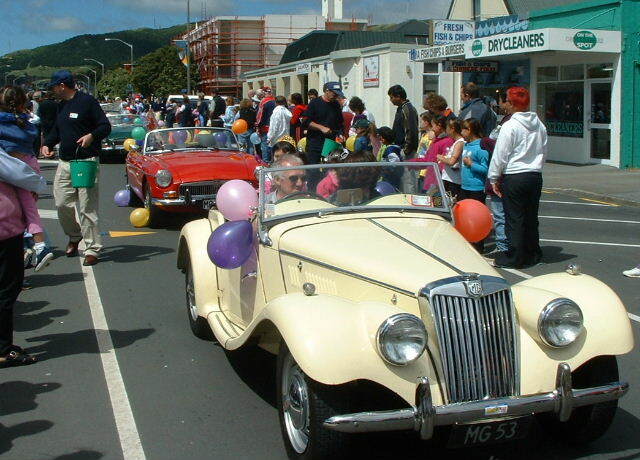 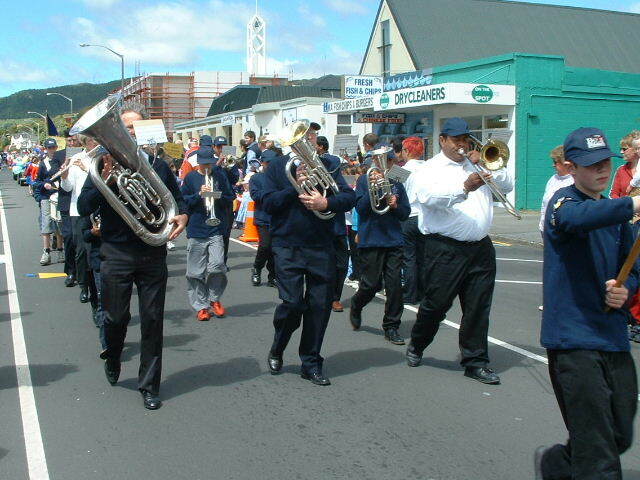 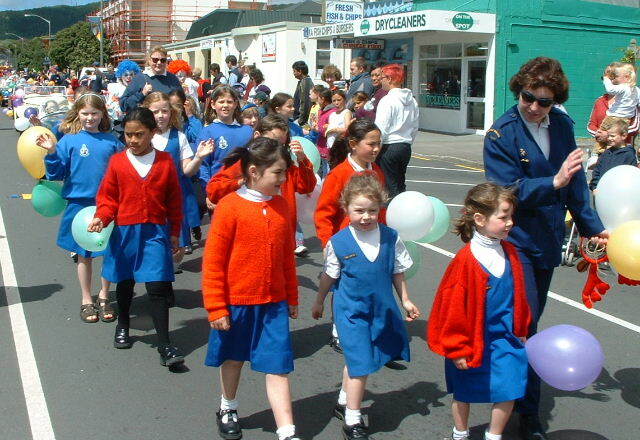 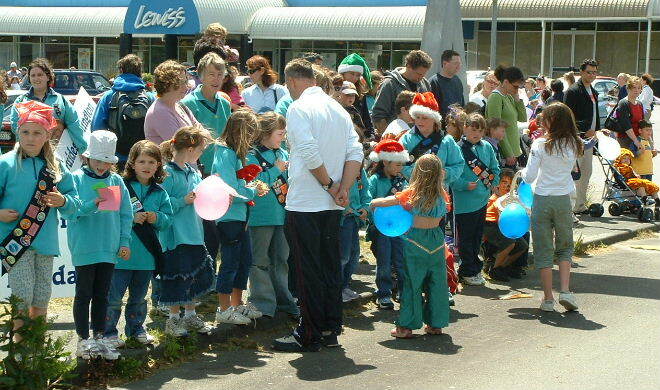 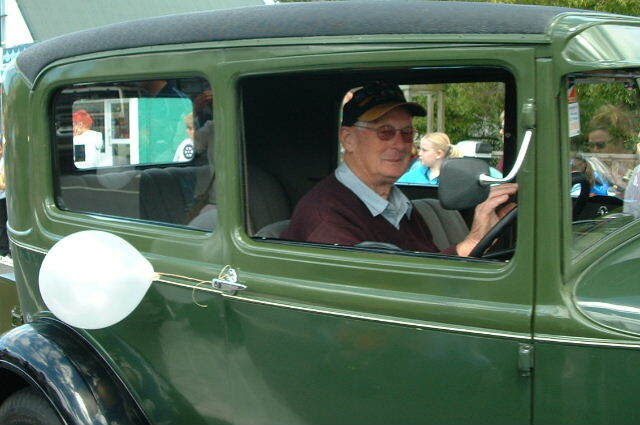 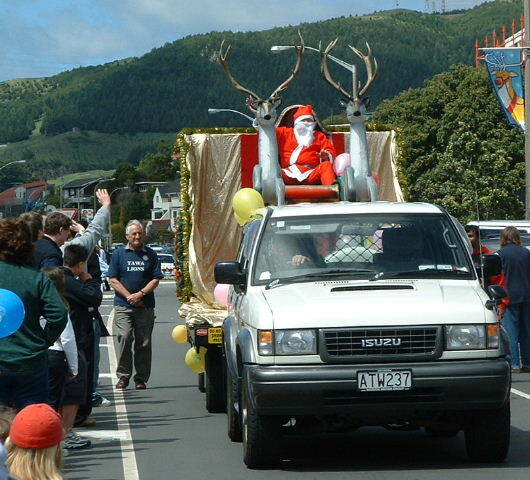 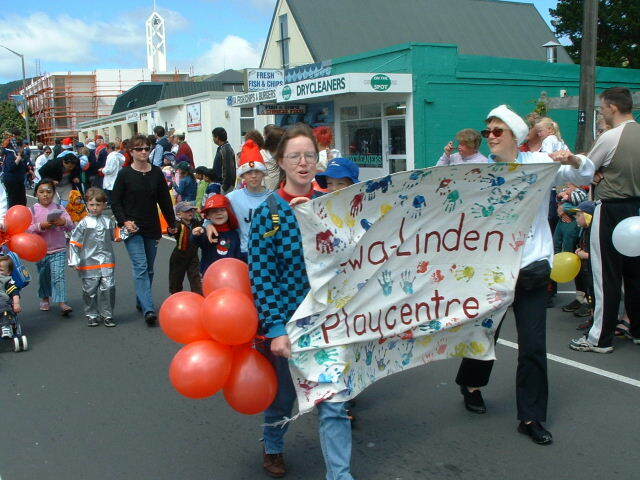 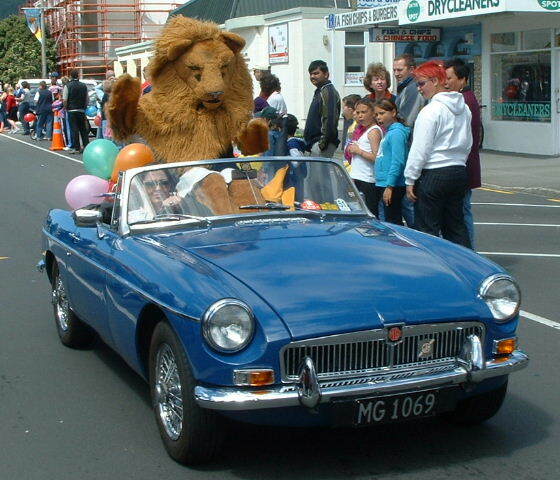 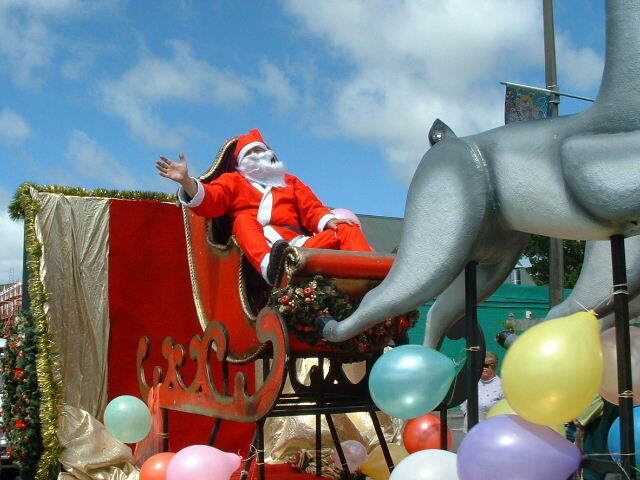 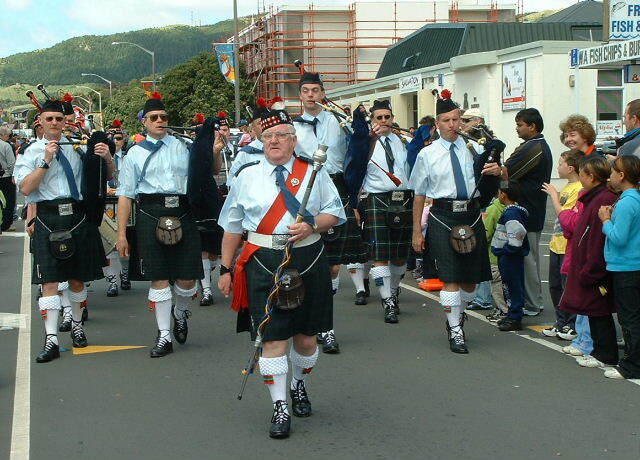 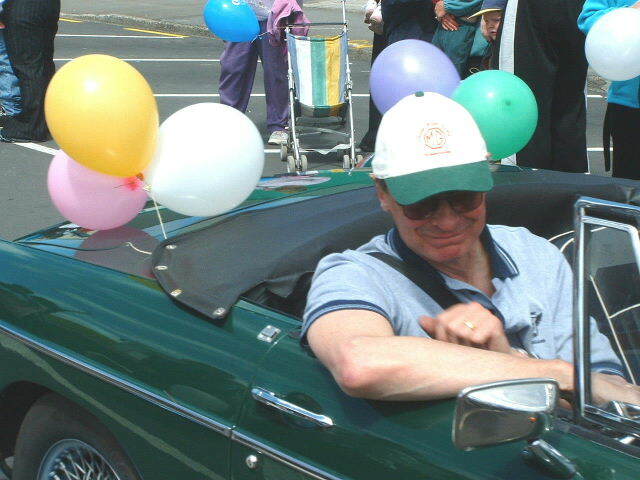 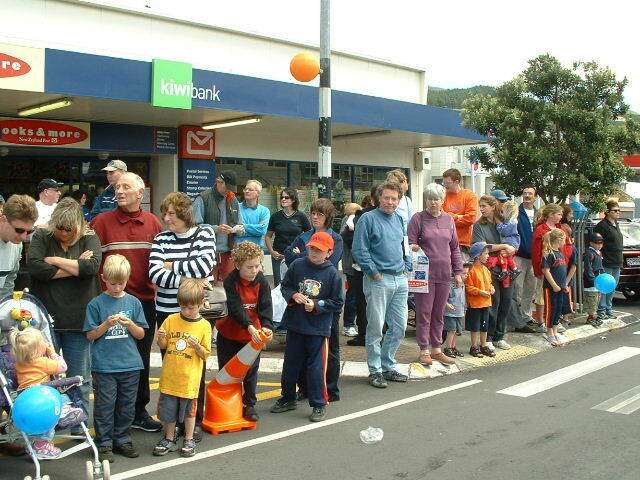 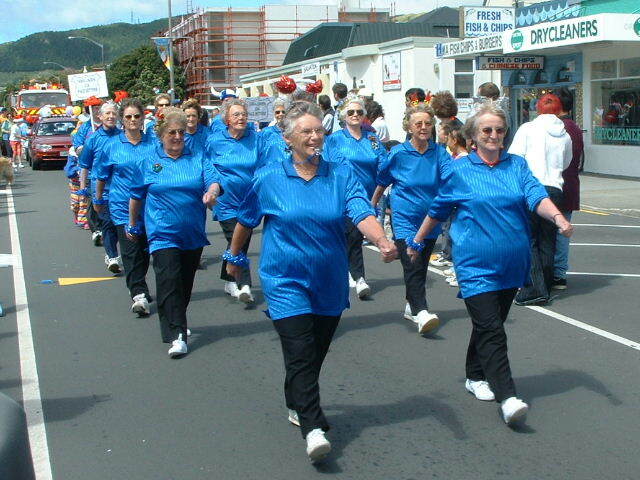 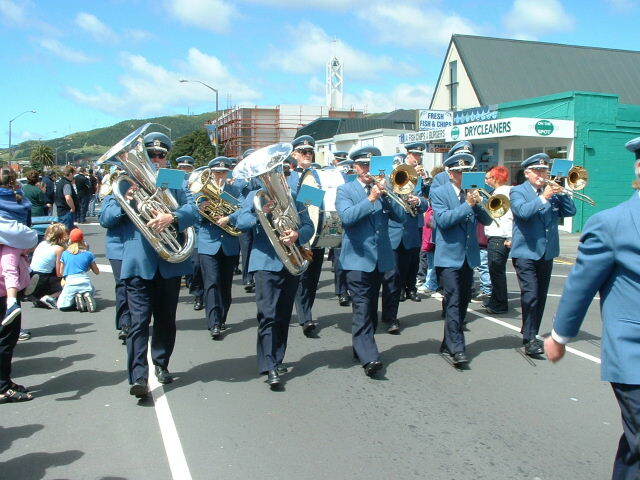 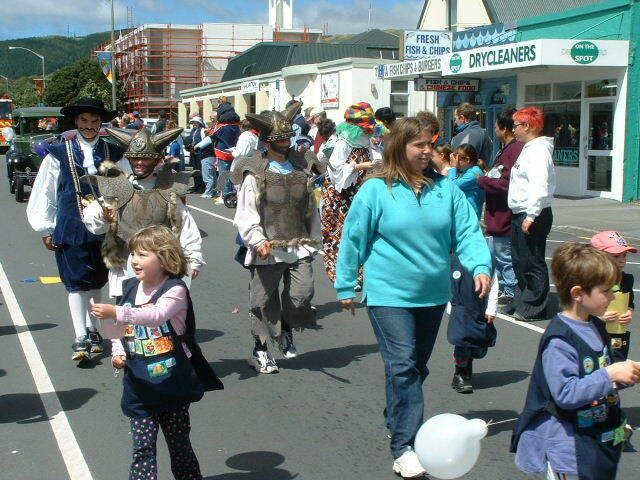 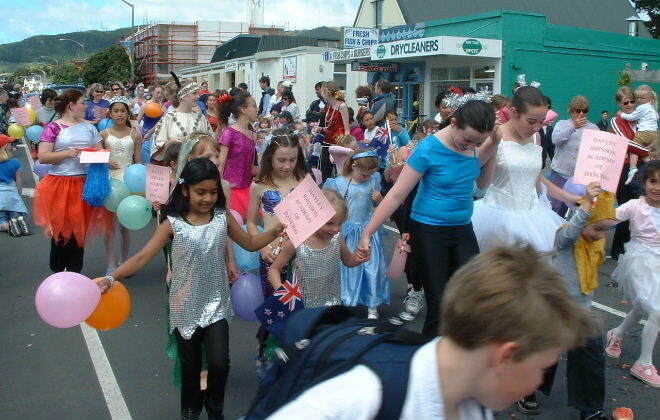 Tawa's 2003 Christmas Parade took place on Saturday morning, November 29th, two weeks earlier than usual, and appeared a tad down in terms of support. 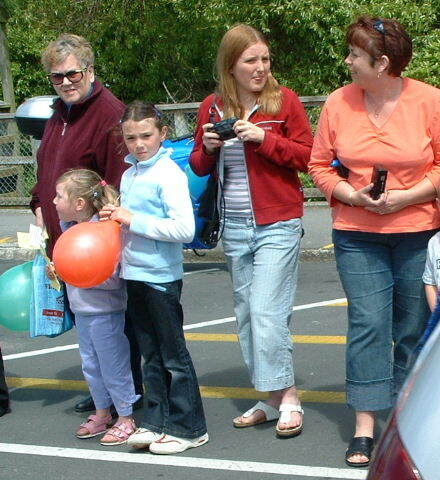 Below is a selection of photos of the always-colourful occasion. 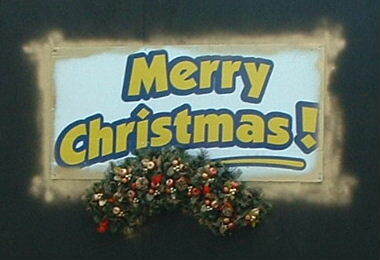 Hopefully it will revert to its 'usual' mid-December time slot next time around.